This year the WEF Service scholarship has been given in honor of Steve Nelson, and in the memory Emily Nelson. Each year, the WEF honors a community member who contributes to the mission of the Westfall Education Foundation. Steve graduated from Circleville and Purdue University, while Emily graduated from Eastmoor and Ohio University. They came to the Westfall area in 1976. Steve worked at Nationwide, and Emily taught for many years as a fifth grade teacher at Darby Elementary and later at Westfall Elementary. Emily finished her career as the art teacher at the elementary school. Steve and Emily have a long history of supporting the Westfall community. Steve was a past president of the Westfall Boosters Club. He is a member of the Darby Township Zoning Appeals Board. Steve serves as the treasurer of his church. Steve has quietly helped with many of the endeavors and events of the Westfall Education Foundation. He has set up, torn down and cleaned up countless times. He’s made trips and run errands. Emily was involved with the foundation, first serving on the exploratory committee. She was an original director of the Westfall Education Foundation Board. She served the foundation as treasurer and president. 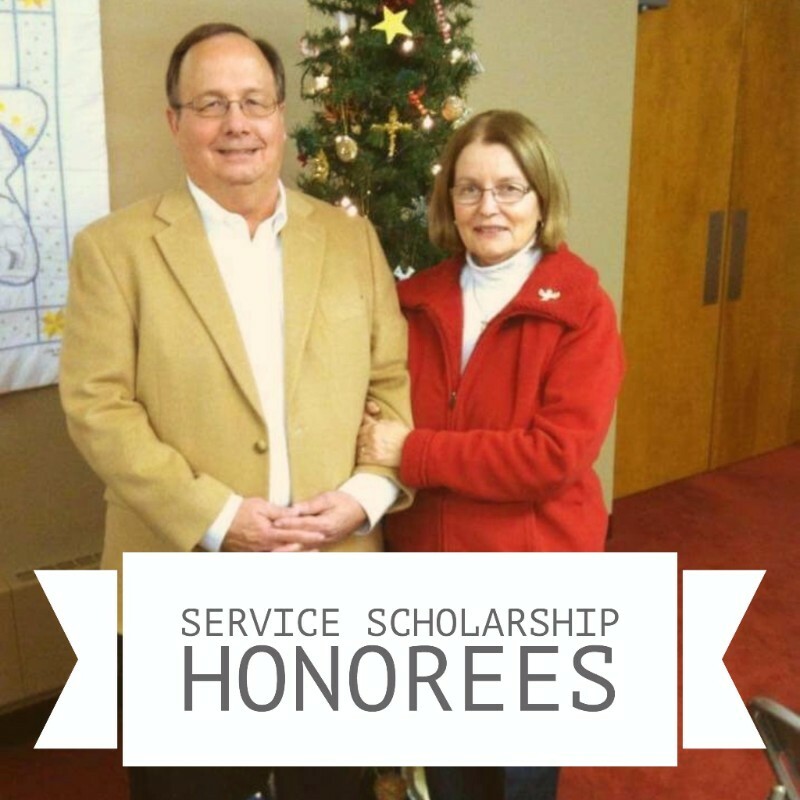 Emily also served on the Pickaway County Community Foundation Board and the Pickaway County Library Board. She was a founding member of the Westfall Elementary’s Field of Dreams committee, which provides funds for enrichment activities at the elementary. She too was active in her church, where she served on committees, and worked with children during Bible School and Sunday School. The Darby Junior Garden Club members were also very special to Emily. She was a committed adult adviser to the organization. Both Mr. and Mrs. Nelson attended many Westfall student functions and events, always promoting and celebrating students’ talents and achievements by their attendance, words of encouragement and enduring support. The Nelsons have served the Westfall community for many years and in many ways.